We know you have choices in musical merchandise. Thanks for looking at our site! We are the Tulsa area's oldest music store still owned and operated by its founder. In October, 1978, Ray Firey opened a 600 square foot music studio for music lessons west of Sand Springs-naming the business after the family gospel group (comprised of him and his brothers) who regularly sang in the area at the time. 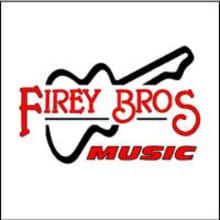 Firey Bros. Music quickly grew from its orgins as a music studio into a retail music store when students started requesting musical accessories. Since that time in 1978, Ray has witnessed many changes along the way. But, 40 years later, he and the team at Firey Brothers Music continue to provide friendly, trustworthy service to Tulsa and surrounding areas. Firey Bros. Music is not your average fly-by-night e-commerce site. They're still an old fashioned "brick and mortar" store with a passion for music and a preference for people over profits.